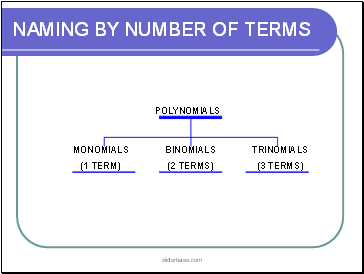 A _ is a sum or difference of terms. 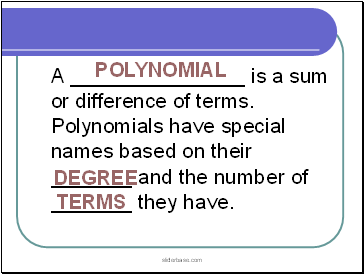 Polynomials have special names based on their _ and the number of _ they have. 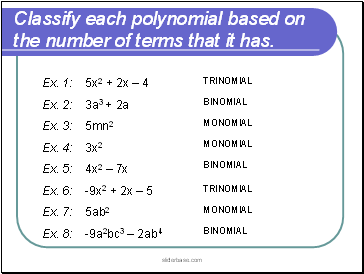 Classify each polynomial based on the number of terms that it has. 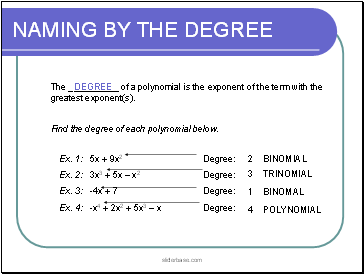 The of a polynomial is the exponent of the term with the greatest exponent(s). 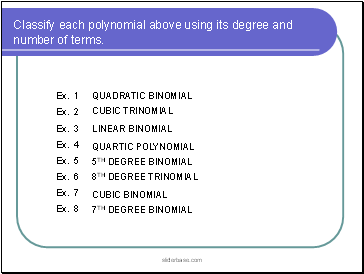 Find the degree of each polynomial below. 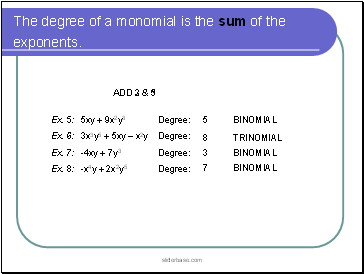 The degree of a monomial is the sum of the exponents. 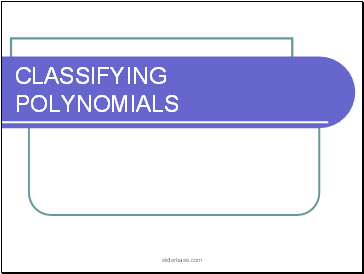 Classify each polynomial above using its degree and number of terms.